INDORE, India - April 4, 2018 - PRLog -- Four state-owned companies such as Mazagon Dock Shipbuilders Limited, (India's prime shipyard company, formerly called Mazagon Dock Ltd), Rail Vikas Nigam Limited (RVNL), Ircon International Limited (Railway infrastructure Engg company) and Garden Reach Shipbuilders & Engineers Limited (GRSE) have filed draft red herring prospectus (DRHP) with markets regulator Sebi to float initial public offerings. 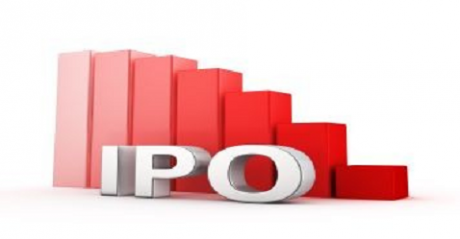 The Initial Public Offerings (IPOs) will be part of the govt's target to collect Rs 80,000 crore through share sales in state-owned companies in 2018-19. Mazagon Dock and Rail Vikas Nigam Limited had filed their draft papers with the regulator on March 28, while Ircon International and Garden Reach Shipbuilders & Engineers approached the Sebi on March 26. Further, three state owned companies namely Mishra Dhatu Nigam Ltd, Hindustan Aeronautics Limited and Bharat Dynamics Limited have been emerged with their respective initial share-sales last month. The public issue of Mazagon Dock Shipbuilders Ltd will see sale of over 2.24 crore equity shares by the govt, while the IPO of Rail Vikas Nigam Ltd, will see sale of 20.85 crore equity shares or 10% stake by the govt. The govt intends to sell 99.05 lakh Ircon shares, or a 10.53% stake in Ircon International, through the public float. Moreover, the government will divest over 2.00 crore shares of Garden Reach Shipbuilders and Engineers. The equity shares of all these companies are intended to be listed on National Stock Exchange and Bombay Stock Exchange.